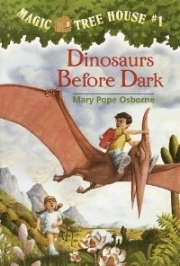 Meet in the Discovery Tree House to take an exciting journey with Jack and Annie from the Magic Tree House series by Mary Pope Osborne. Each month will focus on a different book from the series. This month's book will be Dinosaurs Before Dark.